This patient has presented with a combination of baby and adult teeth, which were small and dark in shade. 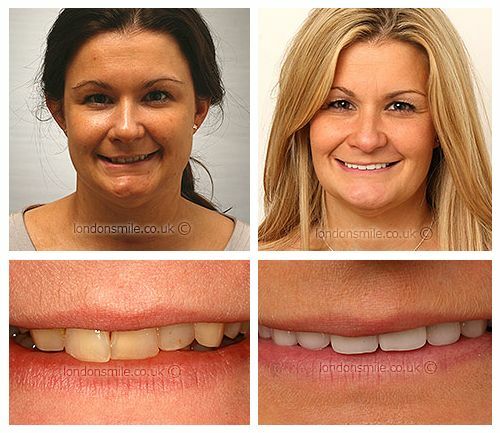 After four years of dental treatment, a combination of orthodontics, implant and porcelain veneers, she is finally happy with the way her teeth look, great result! A lifetime of dental treatment, but still had awful teeth! Braces, veneers, fixed bridge, implant. Very comfortable, always perfectly happy! Over the moon! I can smile showing my teeth! It’s great to approach the big 4-0 and feel much more confident-I can smile without trying to hide my teeth. By making sure that coming to the dentist was a pleasant experience!